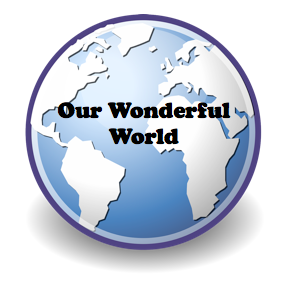 The last “Wonder of the World” poem for this month is the theme of “people.” Most days, I did not peek ahead to the themes coming up each day, and waited for Mary Lee Hahn to share her poem and inform us of the key word at A Year of Reading. But one day last week, I did get an accidental peek at the last word on her list, and saw “people” and thought, hmmmm. I decided I would try my hand at a “sound poem” in which I would use sound effects from FreeSound to layer in audio with the words and phrases of a poem I began writing. I was trying to get at the strange connections we have to people around us — the good and the not-so-good — and make the poem “listenable.” I hope it works as I wanted it to work. Take a listen to The Wonder of People. Process Notes: I wrote the poem and revised it a few times, trying to get what I wanted to say in poetic form. Then, I identified key phrases that I wanted to layer in sounds. I then searched on FreeSound for what audio might work. Once I found something, I downloaded the file. 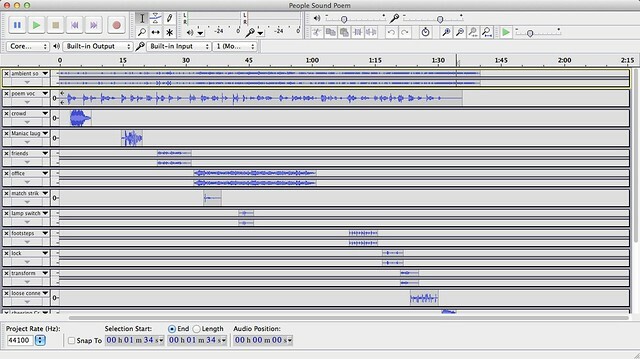 I used Audacity to gather up the audio files together, and recorded the poem, moving and shifting the sound effects to the right places in the poem. Finally, I mixed it together and shared it out on Soundcloud. Feel free to remix it, or use it for whatever might work for you. I hope you can hear the sounds of cheering all the way from Ohio to you! Thanks again for a great month! This is wonderful, Kevin! “Together” says it all. Thank you for sharing all your poetry this month. As I said to Mary Lee, the different perspectives have been like facets in a kaleidoscope. It’s been fascinating to see how each person approached each wonder! 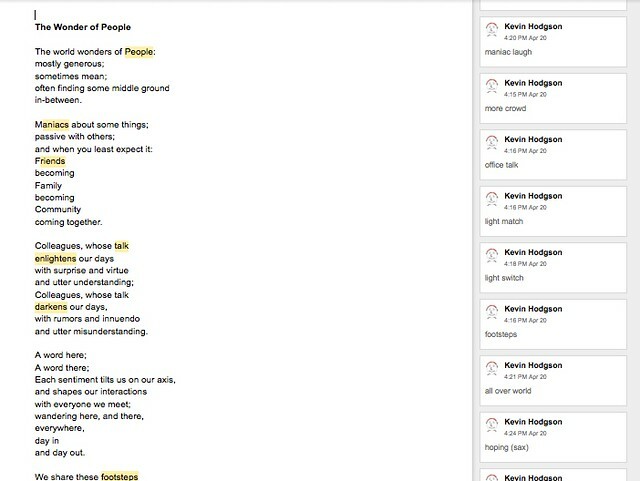 I’ve rarely commented, but have enjoyed all of your poems, Kevin, and learned tech ideas from you as well. It’s been a wonder to see how you, Mary Lee and Carol have traveled together. Kevin, this poem most certainly works and the power of the message is in your delivery. What a wonderful way to end a month of noticings and wonderings expressed in powerful sights, sounds, and texts. Thank you for indulging us readers with your imaginative spirit. holding hands across the wide world divide. but I always feel your support.